One of the greatest passions of Dean Martin was his beloved golf. He used to skip The Dean Martin Show rehearsal sessions in order to play golf from Monday through Thursday... and he was always in good company! In fact, Frank Sinatra and other pals often accompanied Dean during his early round of golf. The Fundamental Golf Company has now started releasing a Dean Martin Signature Series of golf accessories inspired by the King of Cool and made for all who share his passion for the game of golf. The Signature collection currently comprises a limited edition putter grip designed to appeal to the biggest fan or tournament golfer. 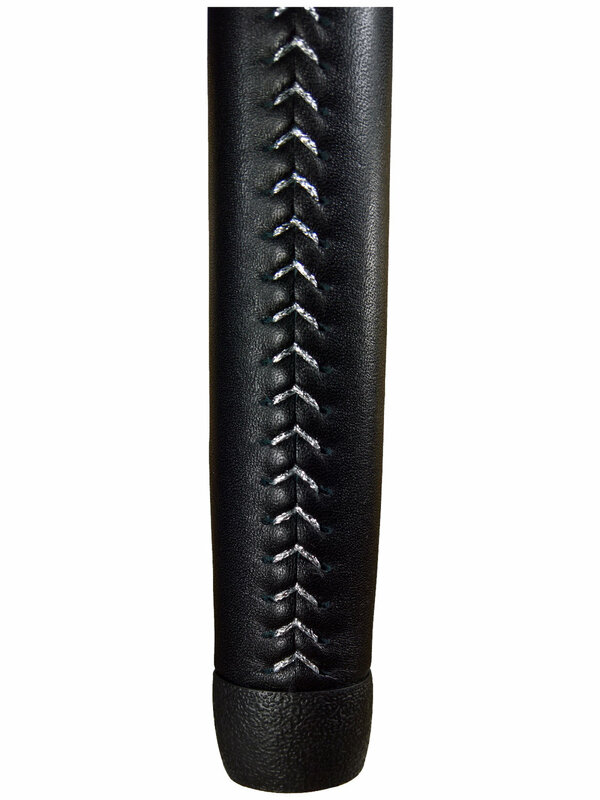 The genuine black leather grips showcase Dean's signature and his Martini Glass with Golf Ball & Flag logo in silver foil stamp - a fantastic celebration of Dean and his joy of life. The Dean Martin Golf Signature Series and the Dean Martin Exclusive Edition Watch are the perfect accessories for a happy hour golf game. Only the ultimate gentleman and fan of the King of Cool might own those unique and timeless items.